Free Speech - Fizz Boom Read! Free speech can spark a reaction all by itself. America's melting pot is a mix of different religions, cultures, beliefs, and ages -- it would be impossible to have a single cohesive viewpoint. When controversial opinions are shared, sparks fly! For this project, provided in the CSLP manual (p. 85), you can encourage teens to make their own personalized free speech t-shirts. If you ask the teens to provide their own t-shirts, all you will need is fabric paint and brushes. 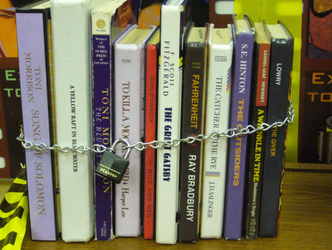 You can display quotes about free speech for inspiration (the manual has tons of suggestions!) or the teens can make up their own quotes with the understanding that all t-shirts produced must be appropriate. 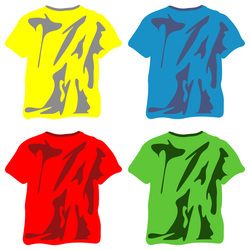 As you explore presenting this kind of program to your teens, you might consider making (or having them make) stencils so that their t-shirt designs look neater and more professional. Here is a tutorial on how to create stencils with freezer paper. The CSLP manual also suggests holding a mock debate using the Lincoln-Douglas Debate format (p. 83). There are many suggested topics in the manual, but most of them are awfully serious for summertime! 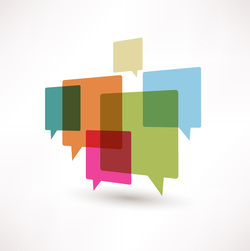 Consider some less serious topics to get your teens interested in the art of great debate! Who came first--the chicken or the egg? It is okay to break up with someone over Facebook or text message. Kim Kardashian should be banned from TV. Students should be allowed to grade teachers. After you have finished introducing the program, split your group into pairs. Each pair should draw a topic from a hat and choose a side of the debate. 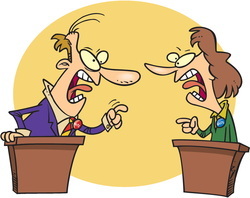 If both debaters prefer the same side of the argument, they should Rock, Paper, Scissors to see who gets first choice. Allow pairs 10-15 minutes to prepare their arguments. They may ask others in the room for their opinions on the argument to help with ideas. Once everyone has their notes for their topic finished, have pairs debate one after the other, giving each debater 2-3 minutes to debate. You could choose winners by a popular vote of the audience, with one winner per pair and give each winner a small prize (candy, trinket, etc.). Another option would be to select a few teens in advance as judges. They can then offer scores to each pair in the form of a poetry slam. The advantage to this is that you may end up with an overall winner for debates, or, if you have a tie, you could have a tie-breaker debate topic. The CSLP manual suggests a speaker series as well (p. 88). The suggested series would feature speakers discussing various controversial topics like evolution, fracking, and the death penalty, with one speaker supporting each side of the argument. An alternate idea for a speaker series would be to feature members of your community who have sparked changed by making their voices heard. You could invite local politicians or non-profit workers who have made a difference in the community. You could even invite your library director to talk with teens about the importance of the First Amendment in libraries. If you have the resources available in your community, you could also invite folks who have experienced oppressive regimes in other countries to talk about the differences between societies that do not support free speech as America does. 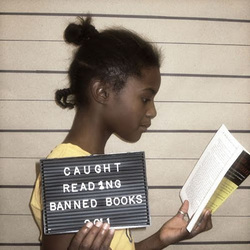 Interactive Banned Books Display: This idea from the CSLP manual (p. 87) suggests that you create a bulletin board display for patrons to share which banned books they have read. 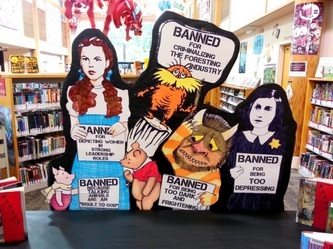 If you're a Pinterest user, you'll find there are endless ideas out there for promoting banned books through both interactive and fixed displays in your library. Check out these great examples!